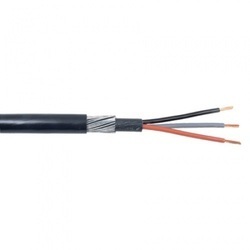 We are a leading Manufacturer of power cable, control cable, power distribution cable, heat resistant cable, high temperature cable and armoured cable from Nagpur, India. Ymbolic to all the success that we have acquired in the industry, remains our status as prominent manufacturer and supplier of a precision-designed range of Power Cable that is extensively used in power industry. Our offered cable is manufactured and verified under the vigilance of our seasoned professionals at our manufacturing unit. In line with clients' variegated requirements, we offer this range to our clients at market leading prices. We introduce our precious clients with an excellent quality Control Cable. This control cable is used for industrial installations such as power plants, steel plants. The offered control cable is delivered to our customers only after its proper examination on various parameters. 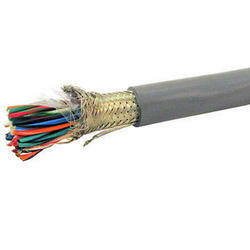 Along with that, our customers can avail this control cable from us at reasonable prices. As a prominent company, we are engaged in offering a wide range of Power Distribution Cable. These cables are manufactured by our adroit professionals using high grade raw material and advanced technology. Our range is highly acclaimed by our clients for its expansive applications and indispensable features. In order to meet maximum clients' satisfaction, we have reasonably priced our range without compromising with the quality. 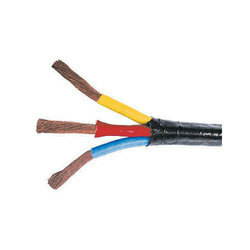 Owing to our expertise, we have been able to offer our clientsHeat Resistant Cable that are used in various industries. 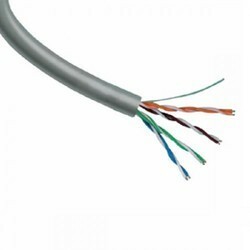 These cables are offered in a spectrum of sizes, thickness and length. Our offered cables are manufactured using high grade raw material and cutting-edge technology as per the set industry standards. The offered cables are designed in accordance with the international quality standards. Besides, clients can avail these cables at market leading prices. With the help of our professionals, we have been able to offer our clients optimum quality High Temperature Cable. The offered cables are efficiently manufactured by our professionals using premium quality raw material and modern technology. These cables are used for internal wiring in high rise buildings, shopping malls, public buildings, petrochemical etc. Provided cables are made in various sizes, length, and thickness as per the requirements of the clients. Armoured Cables commonly abbreviated as SWA, is a hard-wearing power cable designed for the supply of mains electricity. 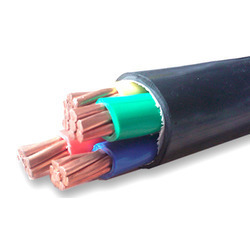 It is one of a number of armoured electrical cables – which include 11 kV Cable and 33 kV Cable – and is found in underground systems, power networks and cable ducting. Owing to the years of industrial experience, we have been able to serve our valued clients with a wide range of Flexible Cable. Widely used for various electrical applications, these are manufactured by experts using modish technology and optimum quality raw material. Further, we check our cables on different parameters before their final dispatch in order to make sure that these are in compliance with the industry quality norms. We are leading manufacture of pvc cable, such as PVC Insulated Power Cable, PVC Power Cable etc. 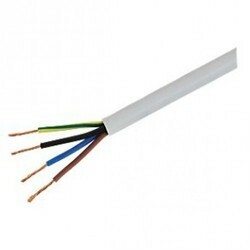 We offer Shielded Cables, which is enclosed by a common conductive layer. The shield may be composed of braided strands of copper (or other metal), a non-braided spiral winding of copper tape, or a layer of conducting polymer. Usually, this shield is covered with a jacket. 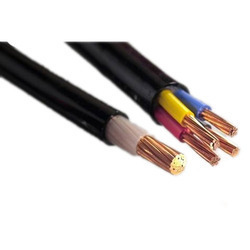 We are counted amongst the reckoned names in the industry offering wide range of Power Cable Unarmored that is treasured among the clients for exceptional quality and high tensile strength. Clients can vail them in different sizes and dimensions and are high current rating. Owing to its exceptional features, our entire product range is able to cater individual needs in most efficient manner. As an esteemed name in the relevant industry, we are offering a precision-engineered array of Flexible Cable Cord that are suitable for electrical conductive surfaces. Following industry defined guidelines, our professionals manufacture the entire range by utilizing contemporary machines, modernize technology and prime grade raw material. In order to ensure quality, the entire range is rigorously tested on a series of parameters. Clients can avail the offered cords from us in various specifications and customized options.